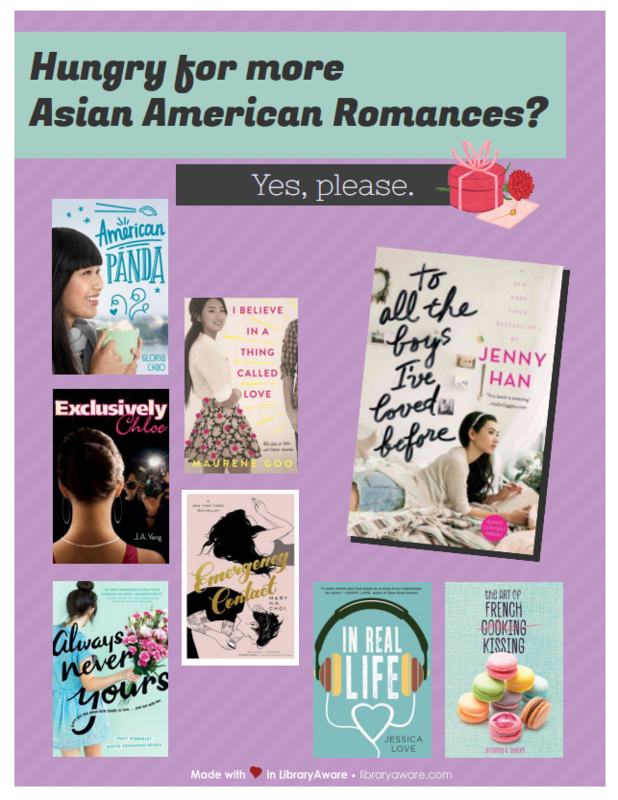 Fueled in part by the almost simultaneous release of Crazy Rich Asians, also based on a book by Kevin Kwan, audiences are going crazy about both of these delectable romances where Asian American characters are featured front and center. While both films are receiving widespread claim, the movies have a special meaning for those in the audience who share the cultural identity of Lara Jean (To All the Boys) and Rachel (Crazy Rich Asians). Reactions to both movies are full of heartfelt joy, and at the library, your patrons may be hungry for more. In that spirit, I created two printable flyers in LibraryAware you can use for a quick-and-easy display. Both feature teen titles with similar feels. 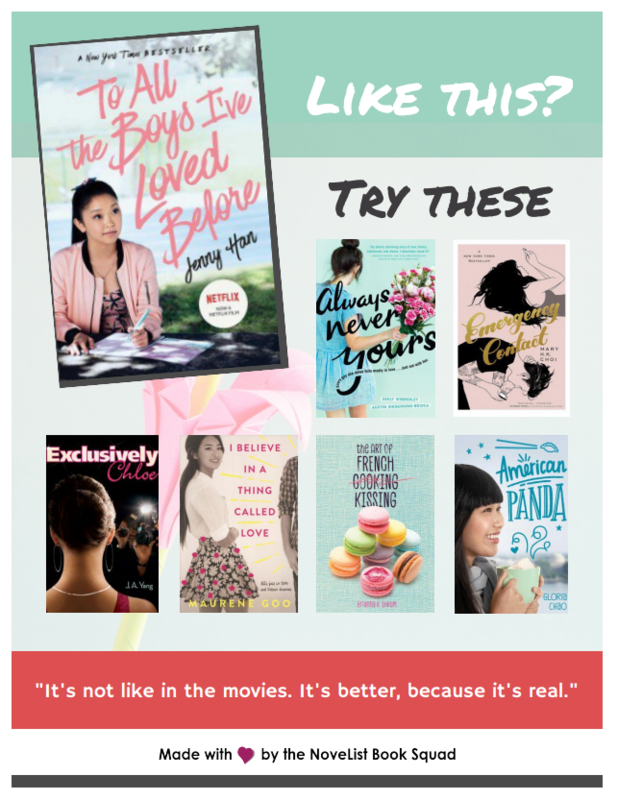 One calls out the Netflix movie specifically, while the other emphasizes that these light and fluffy books also feature Asian Americans in a leading role. 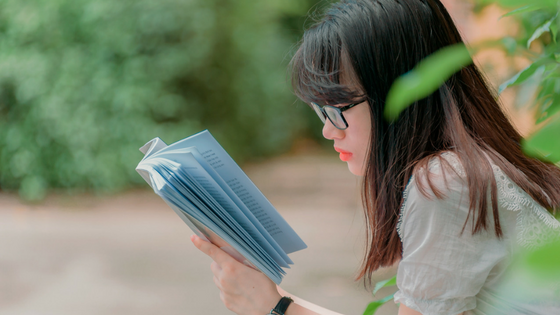 While it's true that finding such books is quite a challenge, you can use NoveList's story elements to find the few books that do feature Asian American characters featured in a leading role. 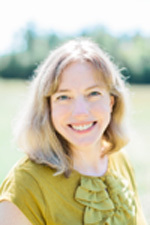 Our search strategies offer several ways to find books with diverse characters, look for books by culture, sort through different romances by steam level, and more. Or, copy and paste the searches we’ve provided below. You can Refine Results in the left panel by genre or audience level, as well as writing style, tone, or location, if desired. Using the asterisks will ensure you find characters that are Korean, as well as Korean American, Korean Canadian, etc.